Showing data on the web in tabular is very common and most of the time user wants to save data. The majority of user who plays with data are the user of Microsoft Excel so it's nice have a Download as .xls button on the page. 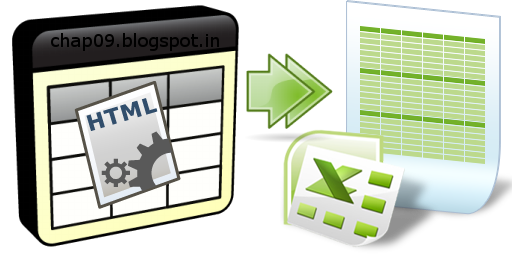 We can achieve this in many ways for example we can use some server side language to convert the database tables in excel format and so on. Before i explain you further let me show you the code first. 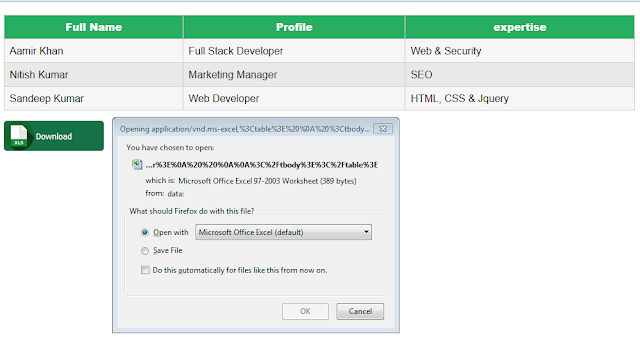 The Above JS code is tricking the browser by using the data:application/vnd.ms-excel to open the file with Microsoft Excel. and BOOM we are done .